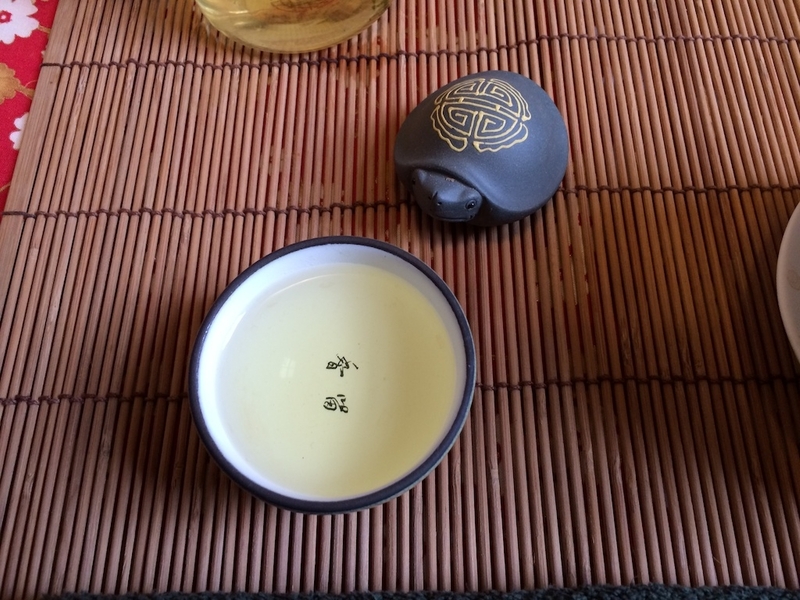 …or, How it’s hard to judge an Oolong before the fourth infusion. This was a sample sent to me from the lovely folks at Teavivre. Dong Ding (sometimes Tung Ting or “Frozen Summit”) is a very beautiful tea mountain in Nantou county near the west coast of Taiwan. They produce a lot of rolled oolongs in the Taiwan/Fujian style. “Qing Xiang” (清香) means “Fragrant” or “Aromatic”. The dry leaves lived up to their name with a very pleasant sweet aroma. As expected for a Dong Ding, the leaves are rolled into balls, but somewhat unexpectedly they are many different sizes. Some are quite a lot larger than my usual Dong Ding (indicating a lot of stems, which doesn’t mean anything in itself), while some balls were more like fine gunpowder green tea in size. 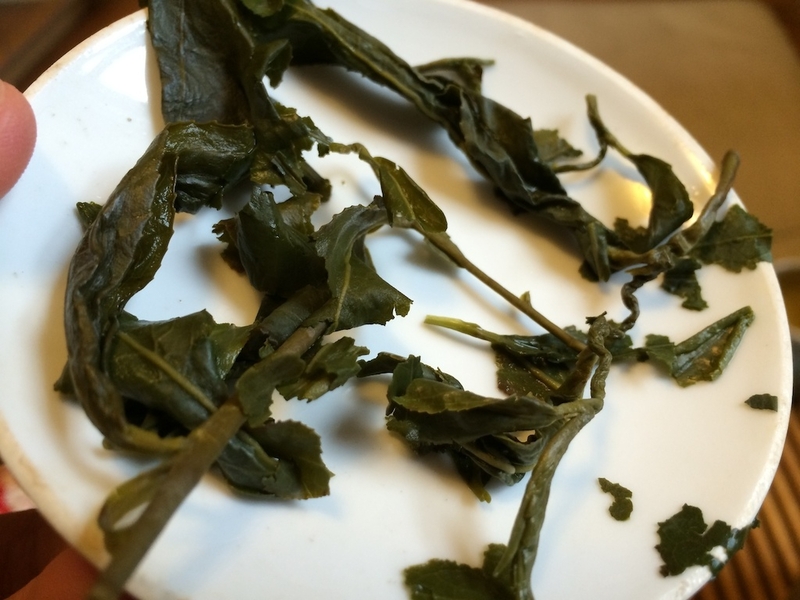 The variation in leaf size had me on my guard, as such inconsistency can make infusing a tea difficult. The color was a mix of bright green mixed with gunpowder gray, like an evergreen forest in the spring. For the first infusion, I began with an experimental 1 minute at 95C. The resulting liquor was a flaxen yellow color that told me that at least I hadn’t over-steeped it. The mouthfeel immediately had a tiny bit of sharpness, making me think that there was some contingent of broken leaves in there. The taste was bright with a fairly fresh Dong Ding aroma. I’d guess this is a spring harvest, although the sample had no harvest date listed. The aroma and taste reminded me of spinach or kiwi fruit. At this point I was already judging the tea as average and wondering how many worthwhile infusions I could make. For the second infusion, I tried to mellow the taste by using less time, only 30 seconds. This time I tasted more kiwi, less spinach; it was sweeter and the sharpness was somewhat hidden as though behind clouds. The texture was still uneven, though, and remained very fresh and spring-like with only a light aroma. For a third infusion, I upped the time slightly and the water I was using began to cool in its kettle. I tried 45 seconds at 90C. This yielded a taste that was still quite bright with a bit of roughness around the edges. However, my thoughts about the number of infusions began to change as this one had plenty of color, flavor, and the original aroma remaining. Feeling very curious now, I tried a fourth infusion for 1.5 minutes with the now 85C water. Delightful! A hint of saltiness crept into the flavor, which changed everything. There was still the bright spring quality, but it became subdued and gentle. The aroma was delicate but unmistakably that of the wonderful sweetness you will find in an oolong withering room. Somehow a bit of cream entered the texture, mellowing the sharpness of the previous infusions. The effect was still there but now it manifested as a dryness on the front of the tongue in the aftertaste, not marring the mouthfeel. My mind wandered away to a green mountainside in Lugu, looking across the lake at the tea fields of Dong Ding. Could this continue? Fifth infusion, 2 minutes, 80C. Still mellow! I think the first infusions were needed to bleed off some of the freshness of this tea. I think perhaps a first rinse would be a good idea in the future. I finally felt like this tea was giving in the way that was intended. A medium body, nothing dramatic, with a delicate green aroma and a round mouthfeel. A sixth infusion, then. I heated the water again to see what that would yield and steeped for 2.5 minutes at about 98C. Impressively, the flavor was mellow and perhaps even more rich than the last two infusions. The color and aroma remained about the same. The taste didn’t last as long as it did before, vanishing after only a few moments in the mouth, but they were a very pleasant few moments. I now suspect there could be four more infusions still within these leaves, but I’ve had enough tea for one sitting. This tea definitely surprised me. My first impressions were quite turned around by the fourth infusion. It’s really a reminder that, particularly with a rolled oolong, there can be layers of flavor that lie hidden away behind the initial taste. A hot rinse of the leaves at the start or possibly beginning with a cooler temperature water might have made for a different beginning entirely for this tasting. Tea is a living creation, and while I love to find a Dong Ding that really wows on the first sip, I very much enjoy a tea that makes me taste and experiment to find its beauty. I’m glad to have had this chance! 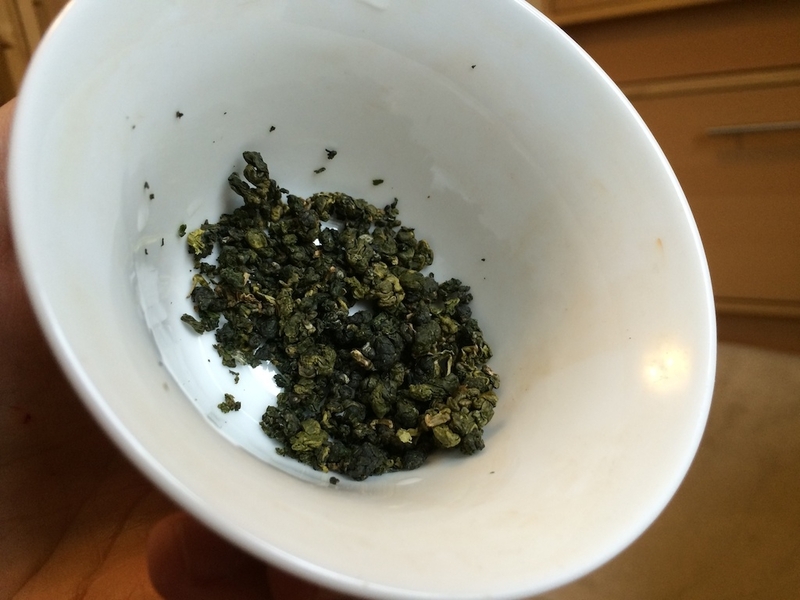 This entry was posted in Tastings and tagged oolong, taiwan, teavivre on November 27, 2013 by payton.